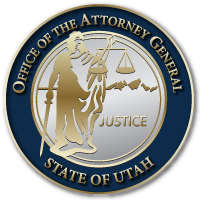 Feb 12, 2014 – As part of a comprehensive re-assessment of internal rules and structures to promote public confidence in the top law office of the state, Utah Attorney General Sean D. Reyes applauded the recommendations of an audit performed by the Office of the State Auditor regarding use of vehicles assigned to employees within the AG’s office. Attorney General Reyes has asked the State Auditor to further assist the Attorney General’s Office by performing client satisfaction surveys with the dozens of state agencies and organizations the office represents in legal matters. “This, along with internal surveys, management interviews and reverse evaluations by all employees in the office will give us a clearer picture of how to allocate resources and which leaders are effective and which may need replacing,” said Reyes. This entry was posted in Archived Posts and last updated on June 18, 2018 .